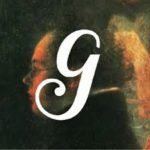 Groupmuse is an online social network that connects young classical musicians to local audiences through concert house parties. Share the great masterpieces of music with old and new friends in neighborhood living rooms. To learn more about Groupmuse visit the website https://www.groupmuse.com. Click the ATTEND tab and put in your zip code. A list of concerts in the Boston area including Brookline will be displayed. Choose a concert and be prepared to enjoy an intimate evening of superb classical music. There is a $3 fee/person to register for the concert. Also you are asked to support each of the musicians with a $10 donation the night of the concert. The fall catalog from Brookline Adult & Community Education (BA&CE) is full of interesting and mind- expanding courses, many of which will take place at the Senior Center. Here are a few examples of courses that may interest you. Some do not begin until late October or November but it is better to sign up early. To register for any Brookline Adult Ed class call 617-730-2700 or register online at http://www.brooklineadulted.org/. After a period of inactivity, we are proud to announce that this BrooklineCAN service is once again active and improved. Changes: We no longer require an application by vendors. Instead we list anyone that our members recommend. We gather information from public sources, post the listings, and give vendors an opportunity to make changes. This allows us to list many more vendors and a wider range of services. The trade-off is that we may not always get all the information that we asked vendors to provide on the application. Click here for “The list” available for BrooklineCAN members. Come to hear Andrew E. Budson, M.D. address memory concerns: what’s normal, what’s not, and what to do about it. What memory loss can be expected as one gets older, and what should trigger a visit to the doctor? BrooklineCAN presents this program on Thursday, September 7 at the Senior Center. Refreshments will be served at 6:00 pm and the program with discussion runs from 6:30 to 7:30 pm. Dr. Budson is professor of Neurology at Boston University School of Medicine and Associate Director for Research at the BU Alzheimer’s Disease Center. The program is free of charge; call 617-730-2770 to register. “The Power of Engagement,” BrooklineCAN’s 7th Annual Meeting and Exposition, will take place Thursday, September 14, from 5:00 to 7:00 pm, at the Brookline Senior Center, 93 Winchester Street. Refreshments and Expo from 5 to 6:15 pm, followed by a program of speakers and community service honors. The expo will offer opportunities to become involved in community activities. Dr. Judith Gonyea, the keynote speaker, is Professor of Social Research at Boston University. Community service awards will be presented to the Brookline League of Women Voters, BIG (Brookline Interactive Group), and TRIPPS (Transportation Resource Information, Planning, & Partnership for Seniors). Music will be provided by the Brookline High School Jazz Band.This is an opportunity see old friends and make new ones! Free and open to all, but registration is required–call 617-730-2770. Wednesday, September 13 will mark the return of TRIPPS’s smartphone drop‐in sessions at the Senior Center. Join us to learn how smartphones can make your life easier and give you more freedom and independence. We can help you find ways to use your smartphone for travel, entertainment, shopping, and connecting with family, friends, and your community. Be sure to bring your smartphone (iPhone or Android) along with your questions. Meets weekly on Wednesdays starting September 13, 3:00—4:30 pm.